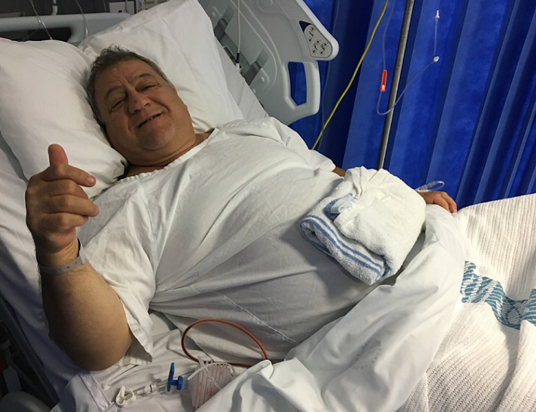 “It is a privilege to practise as a surgeon in Australia. I derive enormous professional satisfaction from serving the surgical needs of the community by working with GPs, Specialists, Allied Health and Nursing to manage the increasingly complex health issues that affect our society today. I am committed to my patients and hope they in turn appreciate the sacrifices and efforts I make to advance and refine the quality of healthcare for western Sydney and in particular, the Macarthur region”. Macarthur Cancer Centre at Campbelltown Hospital rated BEST IN NSW 2018 for the third year in the row. 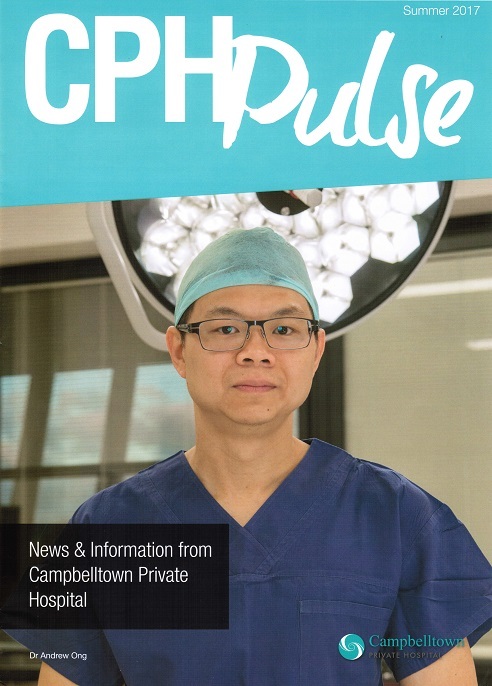 Dr Ong is affiliated with Healthscope hospitals (Campbelltown Private & Liverpool Sydney Southwest Private). 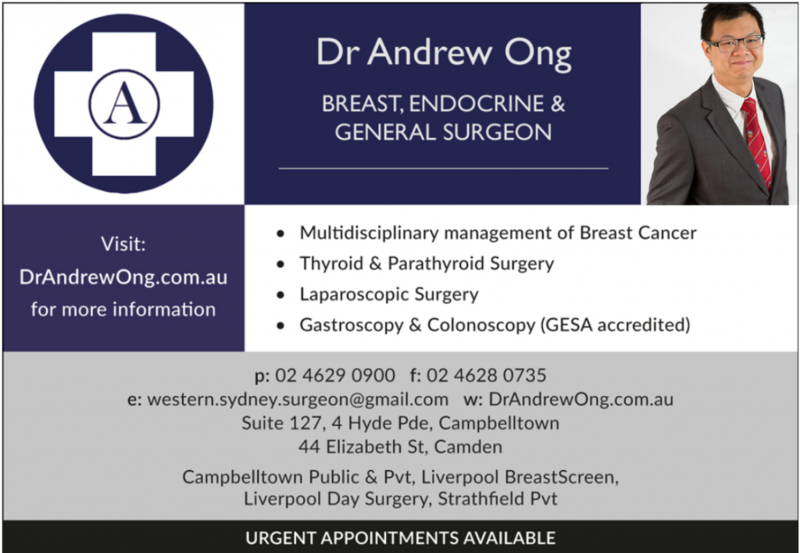 Dr. Ong works in NSW Health as a Breast, Endocrine & General Surgeon. Dr Ong is a conjoint lecturer in surgery at WSU. Dr Ong personally performs high-resolution ultrasound scans in his rooms which improves the management of breast & endocrine patients. Surgeon-conducted ultrasounds can display to patients a dynamic and visual representation of their anatomy which enhances doctor-patient communication. The scanner utilised by Dr Ong captures images in high-definition (HD).